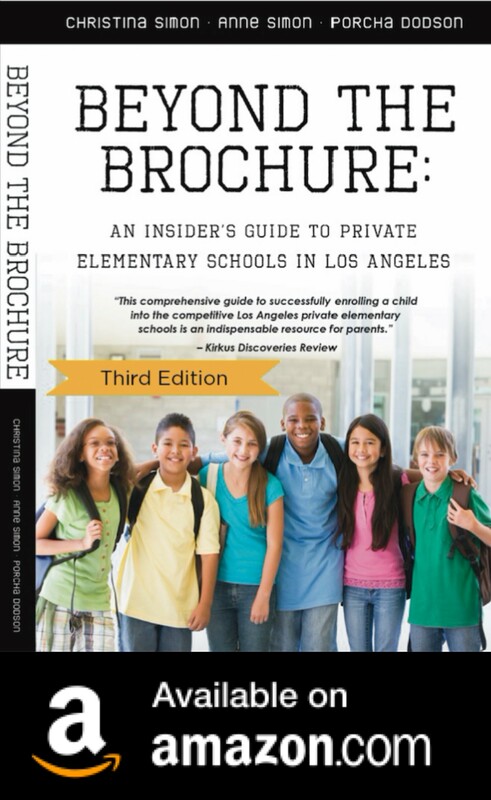 For many parents, even the thought of applying to top private elementary schools in Los Angeles can be overwhelming. Competition is fierce for private schools all over the greater L.A. area, but knowing how to get started can help ease your anxiety. Many top-tier schools in the L.A. and Pasadena region receive more student applications than they can admit. Some of you may have heard the term “feeder preschools.” These are preschools that send their graduates to specific private elementary schools each year. While “feeder” preschools are often popular and hard to get into, you should select a preschool that best fits your child and your family’s needs, irrespective of whether it is a “feeder” school. And, don’t forget, even if your child attends a “feeder” preschool, that won’t guarantee he/she will get into a particular elementary school. Having a well-connected preschool director can help, but private elementary schools accept children for kindergarten from a wide range of preschools. The private elementary school application process begins in September, the year before your child will enter kindergarten. • Tour schools at least one year before child will enter kindergarten in September. • Submit written applications to schools. • Prepare for parent interviews (schools interview parents about your family and your child). • Student testing—or visiting day. (For some Pasadena schools, kindergarten applicants take the Integrated Learning Solutions administered test). • Admissions letters are mailed in March for most schools. If you’re thinking about applying for kindergarten, you may want to begin touring schools two years before you apply. This will give you an opportunity to find schools you really like and eliminate those you don’t think are right for your child. And, some schools offer tours up until May and start again in August. You can also call and ask for an individual tour for your family. This is a big time saver. And, the year you’re applying to schools you will be able to visit your favorite schools a second time to learn more about the school. You should tour at least eight schools to get a feel for the various types of schools. It’s impossible to learn about the school based on another parent’s feedback. You really have to see each school yourself! What do Private Elementary Schools Really Look for? This is the million dollar question. The reason the top private elementary schools in L.A. and Pasadena are difficult to get into is that there are far more applicants than openings. So, schools can be extremely selective in which families they accept. Most schools are looking for a good fit between the child and the school. They want kids they can teach and kids who will excel at their school—from kindergarten through graduation. They also want parents who understand and embrace their educational philosophy. Families that will be involved in the school, volunteering time and contributing financially, are also an important consideration in admissions decisions. Schools also need to have an equal number of boys and girls per class. After all, you wouldn’t want your daughter in a class of 18 boys and 2 girls, for example. And, they look for ethnic and socioeconomic diversity whenever possible. • A child may just meet the cutoff date for age requirements and could benefit from an extra year at preschool. In other words, the child is too young for kindergarten in the school’s opinion. • Your child is a legacy—that is, you or your spouse attended the school. This can be a big advantage. • A family’s connections or contacts at the school. Connections and letters of recommendations from parents at the school or board members don’t guarantee admission, but can certainly help. • Being a member of the school’s church or temple can give a family priority in admissions. • Support from your preschool director on your child’s behalf in the form of a call to the admissions director is advantageous. Private elementary schools require you to open your wallet. The top schools range from $17,00 to $24,000 per year. However, there are schools that cost less per year and a few that cost more annually. You should also know that tuition generally rises between 4-8 percent per year. Private schools also expect every family to participate in their annual giving campaign. The amount is up to each family and typically ranges from a few hundred dollars per year to tens of thousands. Tuition alone does not cover the cost of running these schools, so auctions, fairs and other events are held to cover the gap between the tuition paid by each family and the school’s budget needs. Additional expenses to consider include enrichment classes, hot lunch, field trips and sports programs. Financial assistance is available for families that qualify. The financial aid application is a separate application process from the school’s admissions process. Typically, schools award financial aid to cover part—but not all—of the tuition. And, most schools assume families will need financial aid for the entire time their child is at the school. However, you will be required to apply for aid every year. At most schools, admissions decisions are separate from financial aid decisions. But, at a few schools, a family’s financial needs may be considered as part of the admissions decisions. Schools do not want to admit families that have no means to pay tuition. Last year was a very difficult year for new families requesting financial aid because of the fragile economy. This year, the situation has been very similar as existing families that have requested aid for the first time are granted the assistance so that they can remain at the school. Some schools are raising additional funds to offer financial aid to new families. Los Angeles and the San Gabriel Valley have wonderful private elementary schools geographically accessible to you. If you’re thinking about applying to private schools, go for it! Yes, it’s competitive, but your child has just as good a chance as the next child to be accepted. The process is difficult. My co-authors and I like to say that private elementary school admissions is like a game that anyone can play as long as you as you understand its rules. So, try to ignore the hype and focus on getting through the process. In the end, once your child is accepted at a great school, all the ups and downs of the admissions frenzy will be forgotten. Thanks for this post. I have a 3 year old and it seems like we just got to preschool and its time to look for elementary schools. At what age of the child do you suggest one starts researching/interviewing/touring kindergarten? Thank you so much for your fast response, Christina! So if they start at 5, we should apply at 4…meaning we start touring/looking at 2?